It is hard to imagine how you can improve the original Sonic the Hedgehog, but SEGA certainly did with this sequel that released originally way back in 1992. Although many people will tell you that either Sonic CD or Sonic and Knuckles were the definitive titles in the series, for me it was always Sonic the Hedgehog 2. 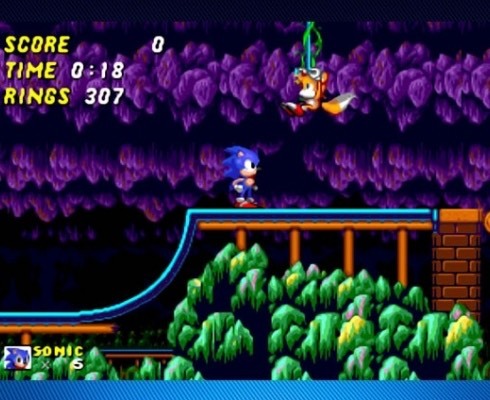 First of all we were introduced to Sonic’s new sidekick character Tails, a double tailed fox that uses this wacky ability to fly, but not for very long as the process causes exhaustion very quickly for the poor chap. 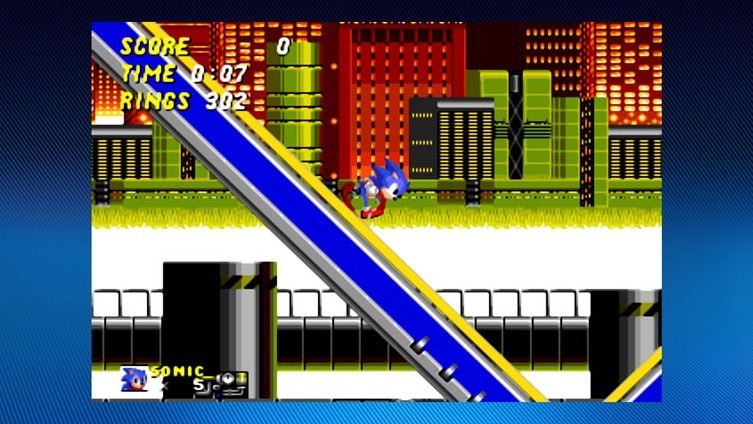 We also see the introduction of the Sonic spin dash attack. Press down on the controller and by hitting the action button rapidly you can achieve a very handy roll with your spikes smashing through obstacles and enemies alike. 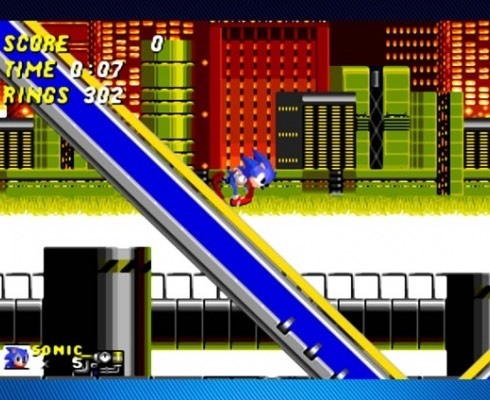 The basic premise of Sonic the Hedgehog is exactly the same, except slightly faster, a change in design on the special stages and plenty of levels. The musical aspect goes from strength to strength with so many memorable tunes, you will find it hard to get bored of the atmosphere created. 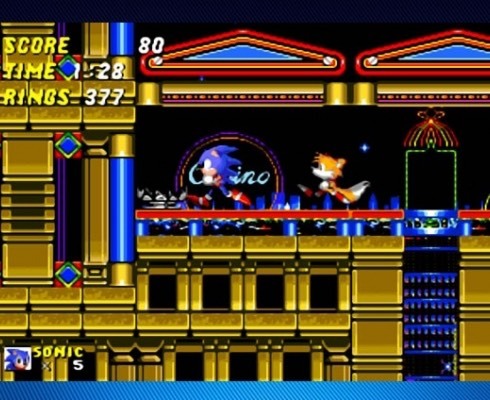 As usual the visuals have been enhanced with a graphical filter, making the presentation far better on a high definition display, but unlike the original Sonic the Hedgehog released on Xbox Live Arcade, the sequel also makes good use of Xbox Live. 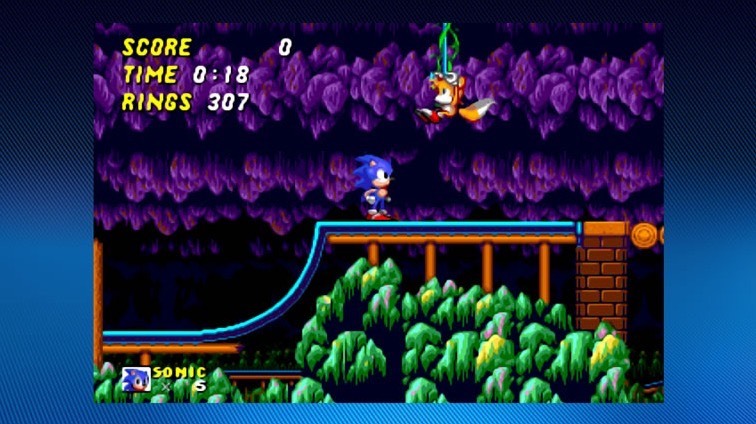 Sonic the Hedgehog 2 allowed two players to compete in a selection of races on a few of the levels, with a few surprise packages you can collect on the way to either advance or disrupt your own progress. This is now possible over Xbox Live, which is a fantastic addition, just a shame you won’t use it very often. Collect all of the Chaos Emeralds and you will also unlock Super Sonic. Certainly worth the effort and with a slew of achievements to unlock as well, there is certainly a feature packed classic here to enjoy all over again. 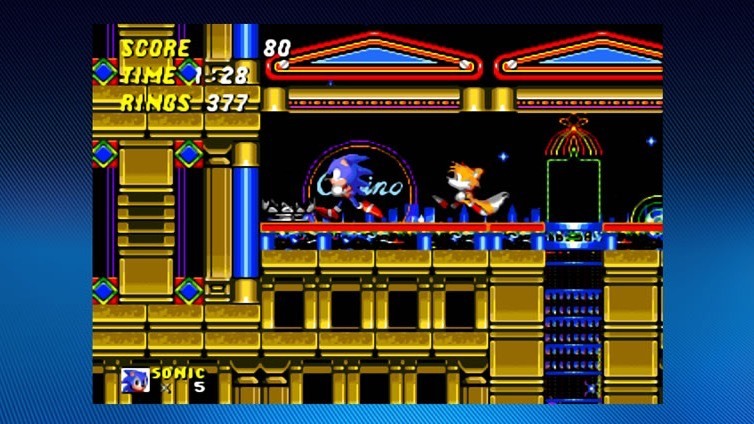 Sonic the Hedgehog 2 managed to secure SEGA’s place in the console war with their main competitor Nintendo and although things have certainly changed now, SEGA owes a lot to Sonic and the excellent presentation and design of this true and utter gem.